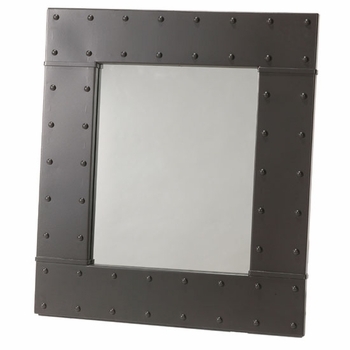 No one should be forced to live with builder grade plate glass mirrors when Iron Accent's selection of memorable, notable metal wall mirrors exists! 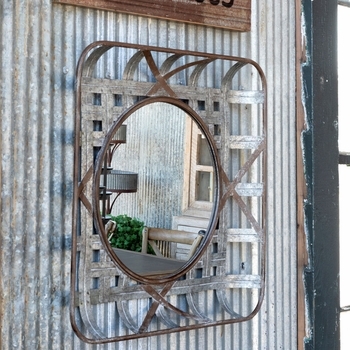 Scrolled, beveled, wrapped in wrought iron, tin and reclaimed wood our mirrors run the gamut from ornate to surprisingly simple, story book to what-a-great-idea! 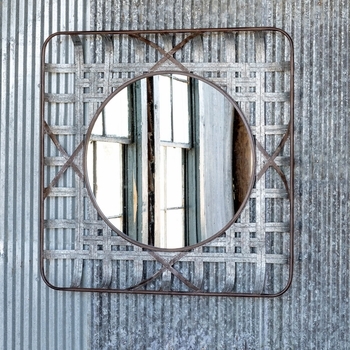 We can think of many places that deserve such good looking ... looking glass. 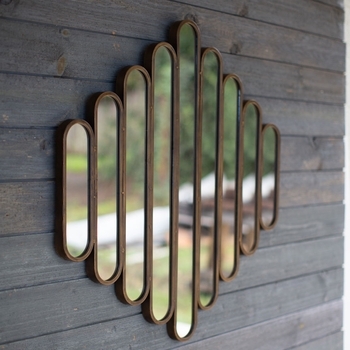 Mirrors are a great design accessory as well as a wonderful decorating tool. 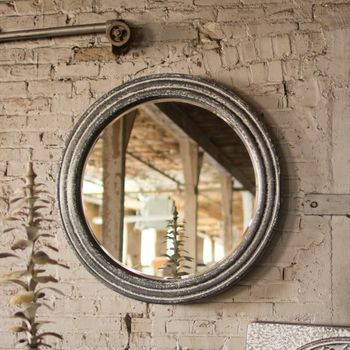 When strategically placed, metal wall mirrors can liven up a room, make it appear larger, and add light and dimension. 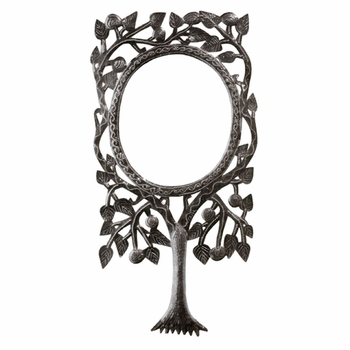 Be sure to place decorative mirrors throughout your home, their visual impact will instantly enhance your homes decor. 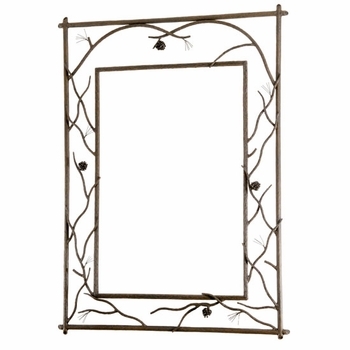 Reflect on our assortment of wrought iron and metal mirrors and create a little decorating magic in your home. 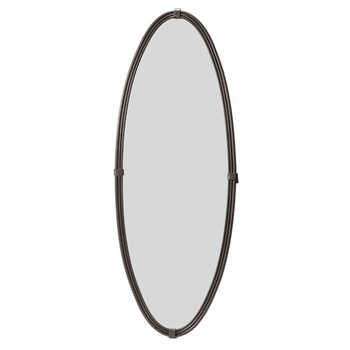 Round Copper Mirror - 30"
Select a mirror that is large enough to provide ample reflection. 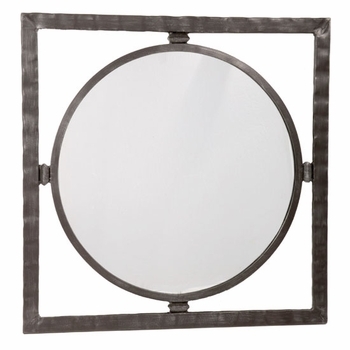 Larger mirrors reflect more light into a room, creating the illusion of a larger, brighter area. 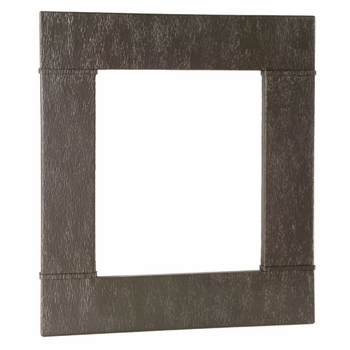 Mirrors flanking a fireplace create the illusion of space in a small room. 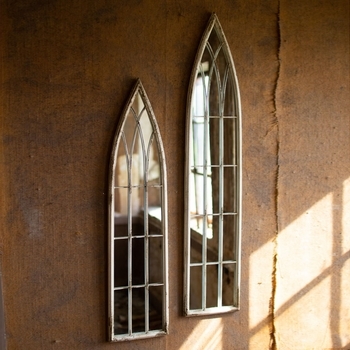 Hanging mirrors between windows helps to add depth to a room. Mirrors placed adjacent to each other can create a festive effect in a room as objects dance off the mirrors in interesting ways. 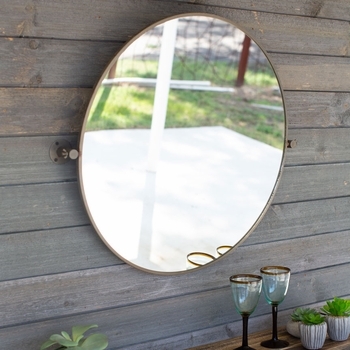 By placing a mirror where it will reflect a window, you can help to bring the outdoors in. 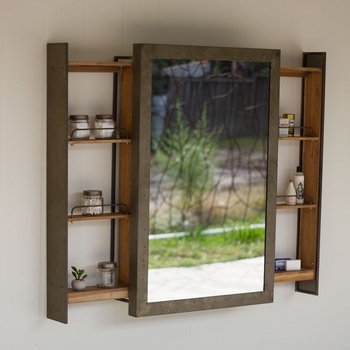 By placing a mirror to reflect a favorite object you can help to increase its presence in a room. 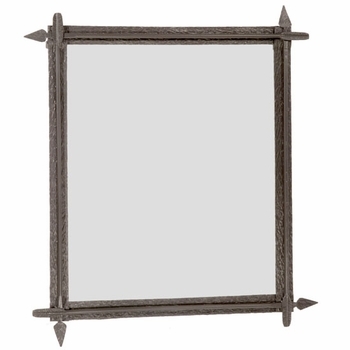 Try grouping smaller mirrors with differing shapes and frames together for greater impact. 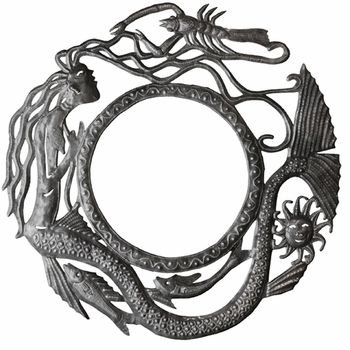 This effect is especially pleasing when hung in a small powder room or bedroom. 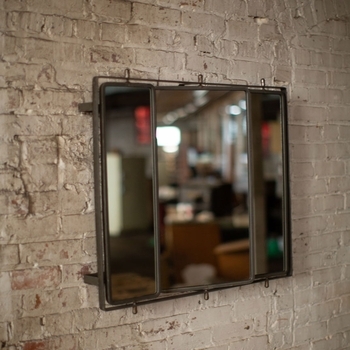 Lean an oversized rectangular mirror against a wall to make a dramatic statement in any room, especially in one that lacks a focal point. 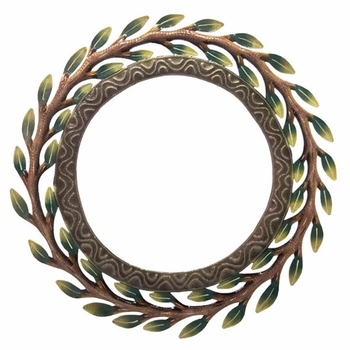 Mirrors are a great alternative to traditional paintings or prints. 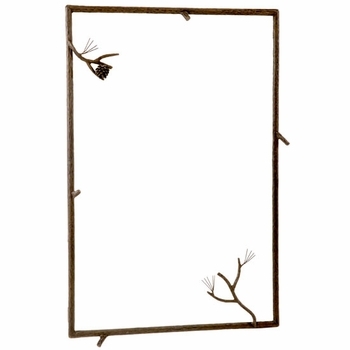 Use them to enhance the natural light in a room by hanging one across from a window so it reflects the landscape outside. 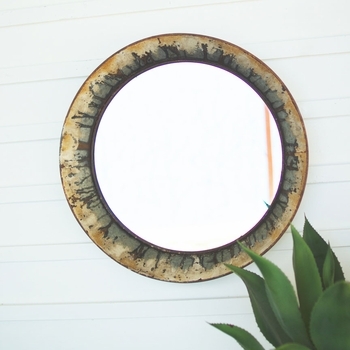 For something a bit different try hanging a round mirror over a dresser instead of the more standard rectangular shaped mirror. 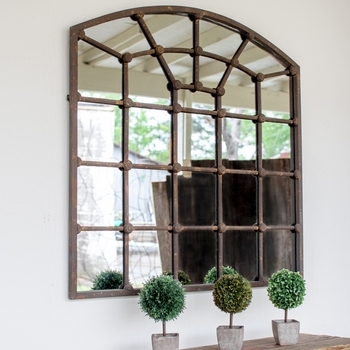 Make a bold decorating statement by hanging a mirror that is the opposite style of your other furnishings. 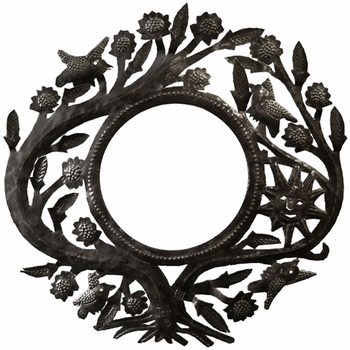 For example, hang an ornate wrought iron Baroque-style mirror in a clean, contemporary space, or hang a simple clean lined metal wall mirror to balance a more formal room. 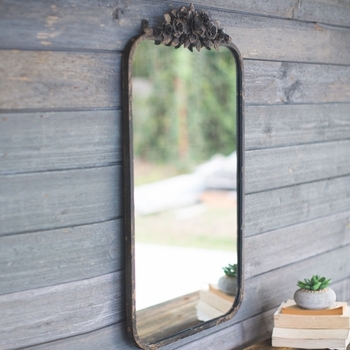 A good place to hang a mirror in any home is the foyer. 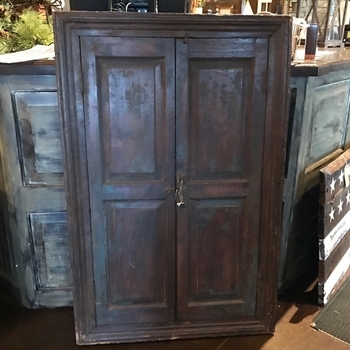 Not only useful for checking your makeup on the way out the door it can serve as a decorative accent for your walls and reflect and maximize sunlight into an often-dark interior entrance. 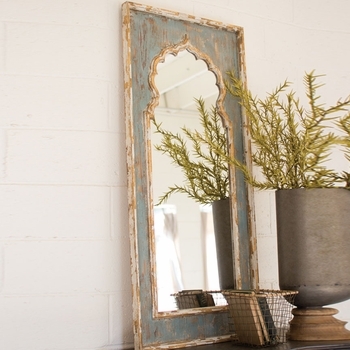 Use a mirror to enhance the length of a space like an entryway or hallway. 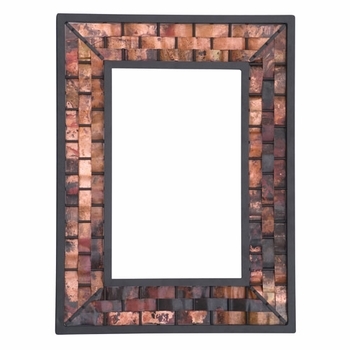 Try hanging mirrors of different sizes on a long wall going up a staircase or through a hallway. 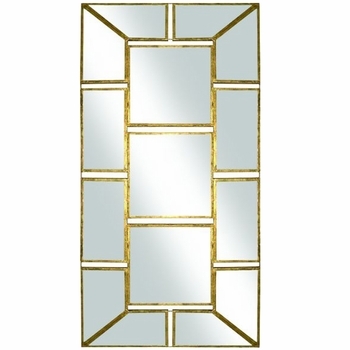 Mirrors are an important element of bathroom design that can completely alter the look of the room. 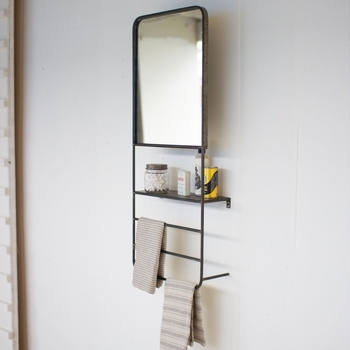 When selecting a vanity mirror there are a few things to keep in mind. The size of the vanity determines the size of the mirror. 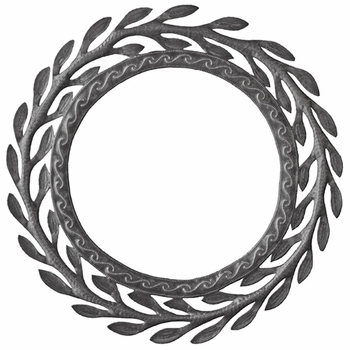 The mirror should not extend beyond the vanity over which it is hung. 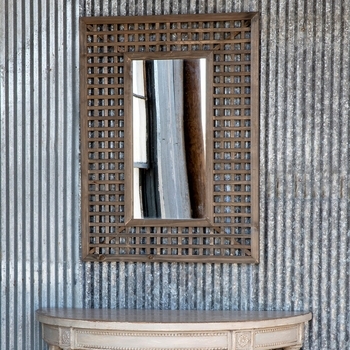 A popular treatment for double-bowl vanities is a wall-to-wall mirror. Another option for vanities with two bowls is for each sink to have its own mirror. 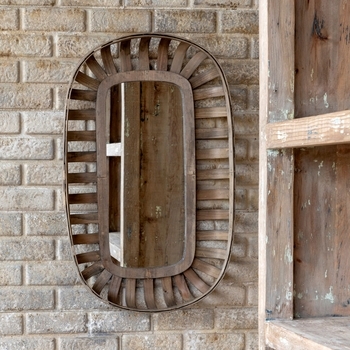 When combined with an arch, an oval mirror gives a Victorian look to the bathroom setting. 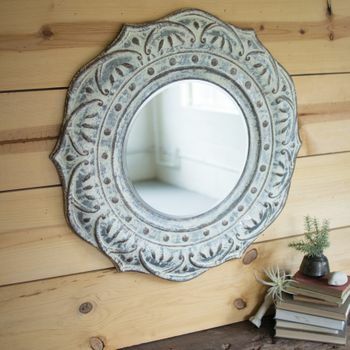 Traditional styles look best with framed mirrors, especially in an oval shape. 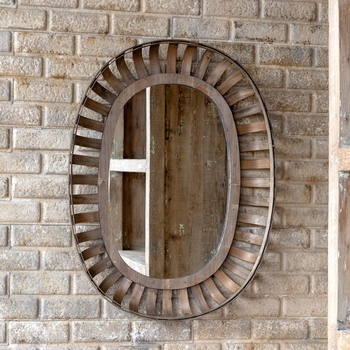 Contemporary designs look good with circular and/or beveled mirrors. 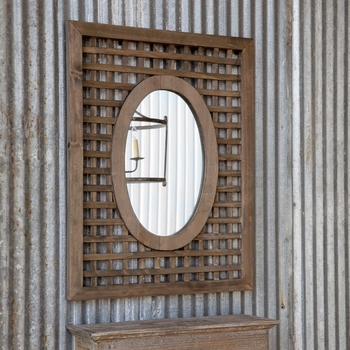 For added personality try hanging different mirror styles over matching his and her vanities. 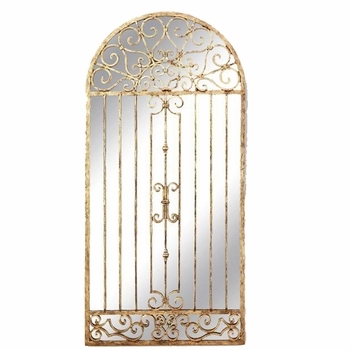 Stand a decorative mirror in front of or propped against a vanity mirror to create a little drama and elegance. 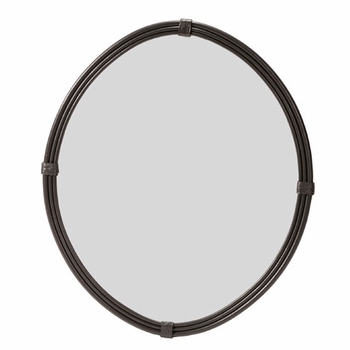 Hang a mirror above the tub to make a tight area feel more spacious. 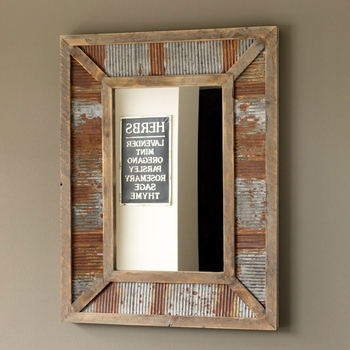 The best way to clean a mirror is with newspaper instead of a cloth. 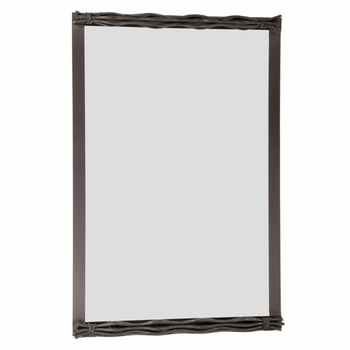 Protect the frame from discoloration by spraying the glass cleaner directly onto the newspaper rather than the mirror.